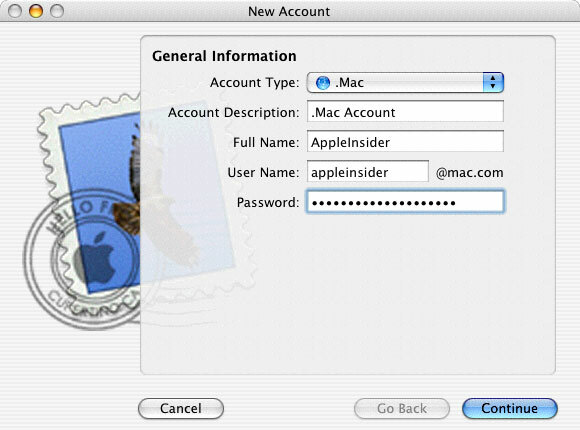 Apple's recently announced Mac OS X 10.4 "Tiger" operating system update will include a major revision to the company's proprietary e-mail client, "Mail." 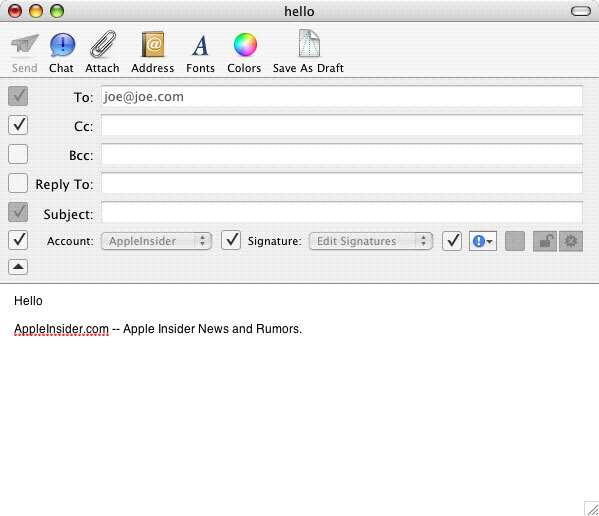 The new version, Mail 2.0, will reportedly feature a new "Smart Mailbox" technology along with dozens of other enhancements, sources told AppleInsider as part of their ongoing coverage of the Tiger OS. So what is Apple's new "Smart Mailbox" technology? Technically, smart mailboxes appear to be little more than Mail folders that display selected messages based on a set of predefined mail rules, which the users may easily assigned from pop-up menus. However, Apple has implemented the technology in such a way that it features superior performance to traditional mail rules and without the risk of data redundancy. For instance, Apple provides "Unread" and "Viewed Today" smart mailboxes as default. 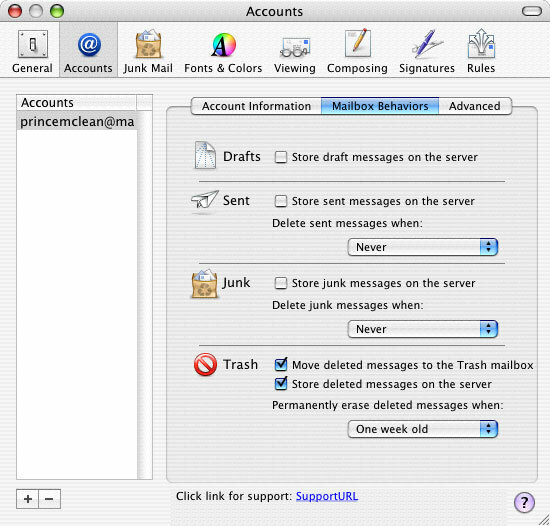 The "Unread" mailbox is told to display all of the user's unread messages, while the "Viewed Today" mailbox will list all messages the user has read during the course of the day. Each smart mailbox filters its data through a main content index of messages when displaying its results, and therefore will not duplicate messages that must appear in more than smart mailbox, further conserving hard disk space and aiding in mail searches. All smart mailboxes work over multiple mailbox accounts, making them all the more useful for users who must handle multiple e-mail accounts and inboxes. Smart mailboxes may also be grouped via a key-command that has been added to the "Mailbox" menu of the e-mail application. 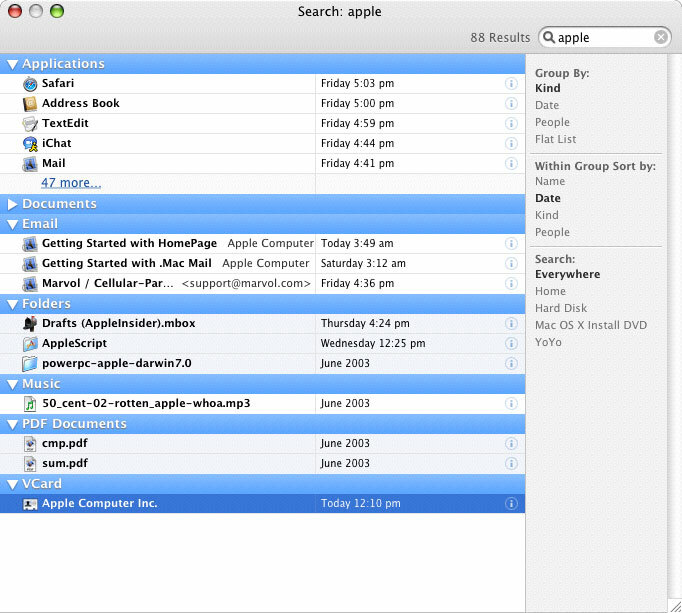 For years, Apple's Mail application featured a slide-out mailbox drawer as the primary means of account and folder navigation. 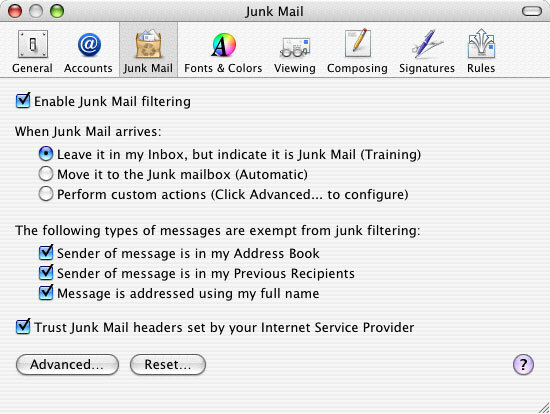 Some Mail users have been fanatical over the drawer interface, while others couldn't care less. Mail 2.0 will retain the drawer listing, but also presents users with an alternative means of mailbox navigation in the "mailbox bar." 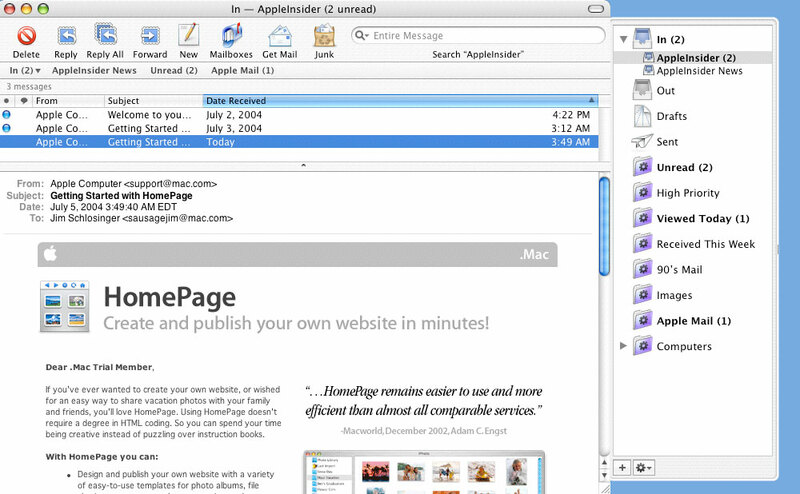 Similar to Safari's bookmarks bar, the mailbox bar appears below the main Mail toolbar and contains bookmarks to the user's favorite mailboxes and smart mailboxes. Mailbox bookmarks appear as text links when they not active and are encapsulated in "Tiger blue" when they are activated. By providing bookmarks to the most commonly used mailboxes in the mailbox bar, users can completely eliminate the need to display the mailbox drawer on a day-to-day basis. 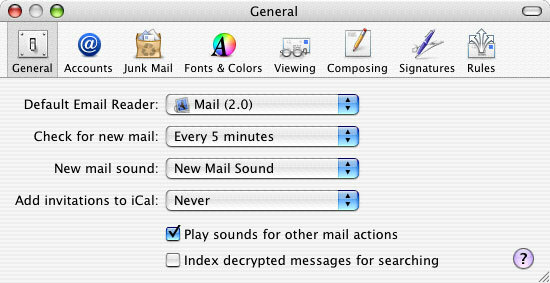 User's can also toggle the mailbox bar on or off via a set of command-keys. A new "Add account" option available from the Mail's "File" menu will present users with an alternative to setting up accounts from the preference panels. 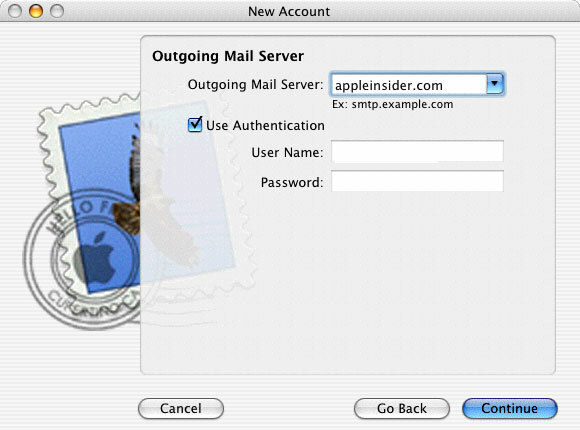 The new option launches a handy email account setup assistant that will step the user through authentication setup, and incoming and outgoing mail server configuration. 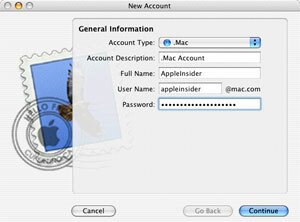 A couple of new preferences for .Mac email accounts will enable users to store draft messages on Apple's .Mac servers and synchronize their localized .Mac mailbox with remote version of the mailbox residing on Apple's servers. 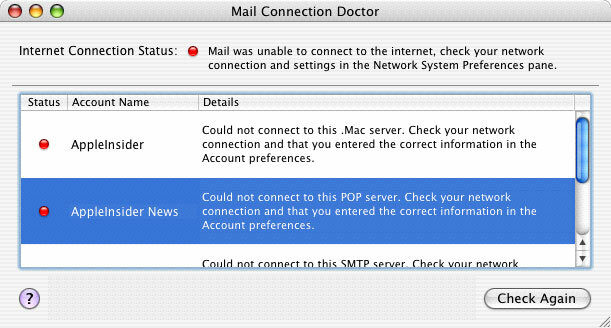 Meanwhile, Apple has added a mail "Connection Doctor" panel that displays mail connection errors and possible solutions. 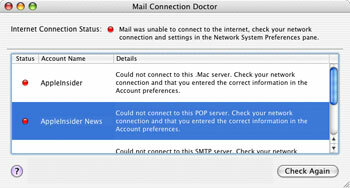 Clicking on individual Connection Doctor errors will spawn the associated mail account settings window, allowing user to troubleshoot and edit connection information. 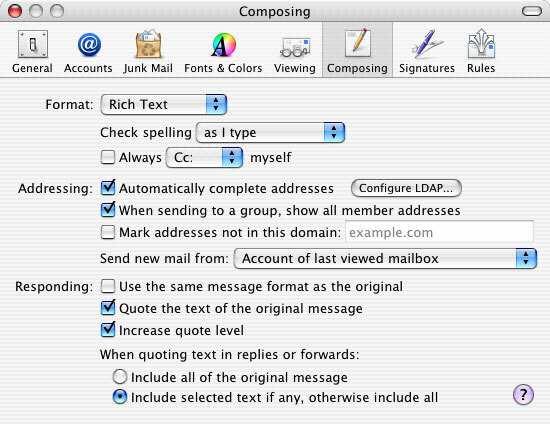 Mail 2.0 will also sport advanced email composition windows, which will allow users to customize header information (add/remove "Reply-To" and "BCC" fields) and select signatures (from a pop-up list), by approving criteria through checkboxes from within the message window. Apple had previously nested these options within application menus and preference panels. Sources also noted the presence of other unknown and currently disabled message customization functions in the composition window, suggesting that Apple mays still be developing in this area. 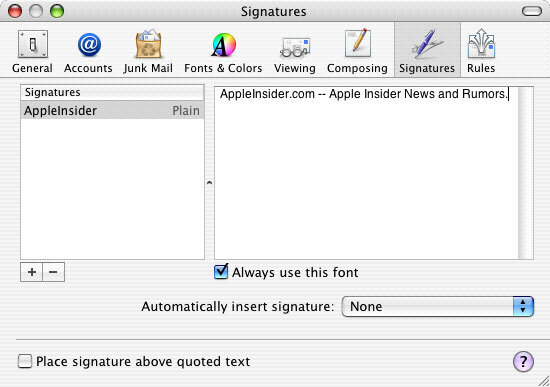 On a side note, sources said that Apple has reworked the "Signatures" preference panel to allow users to switch and edit signatures from a single two-columned interface. A new option to "Always use this font" also appears in the new panel. Rounding out the Mail 2.0 feature list are some general additions and preference changes that are scattered throughout the application. A new mail preference allows users to check spelling in messages "as I type", "never", or "when I click send." 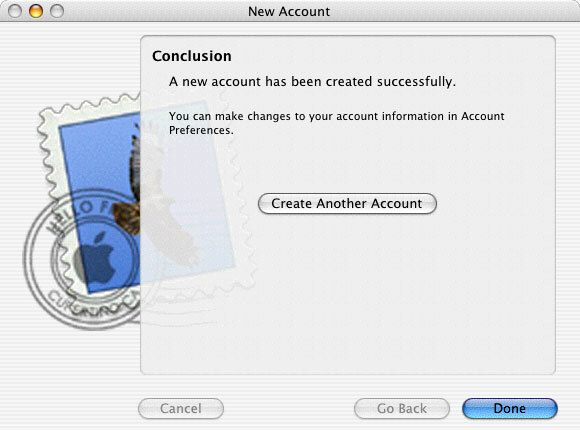 Another new preference lets users specify if all new mail should be sent from a specific account or the account of the last viewed mailbox. Meanwhile, a curious "Add invitations to iCal" option appears in the general preference panel. The Mail 2.0 "Window" menu also includes a new direct link to the "Message Viewer," sources said. Of course, all of the aforementioned features are, at some point, noticeable to the user. 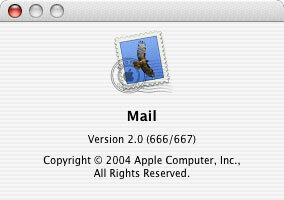 But lets not forget that Mail 2.0 is also 100% compliant with Apple's Spotlight search technology. 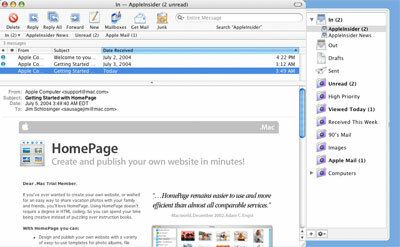 Spotlight searches instantly search not only Mail headers, but the complete contents of Mail messages as well, displaying results to the user in a matter of seconds. 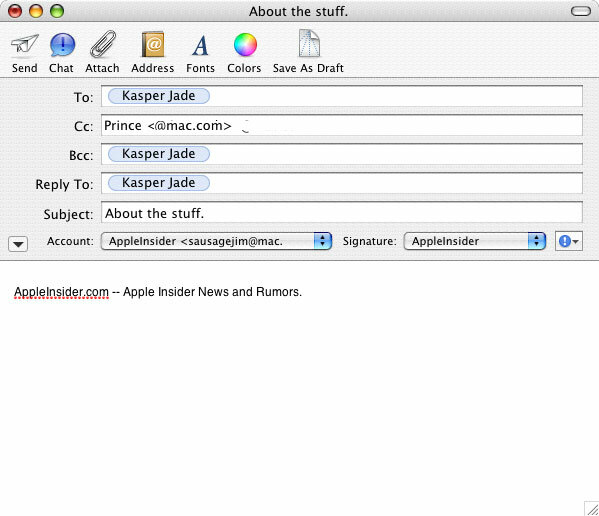 Last week AppleInsider began its coverage of Mac OS X 10.4 "Tiger" with a system overview and inside look at Safari 2.0 with RSS. Plenty of additional Tiger details have begun to appear in the AppleInsider forums.